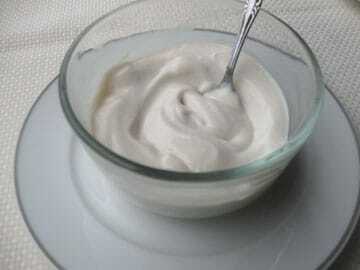 This is my vegan version of sour cream. Other tofu sour cream recipes have oil, vinegar, sugar and salt. I like this simple version best. Blend the tofu, water and lemon juice until smooth. Store in the refrigerator. Tofu sour cream will last 3 to 4 days.